The Israeli regime is seeking a court permission to expand 40 settlements on Palestinian land in the occupied West Bank despite international condemnations. More than half a million Israelis live in over 120 settlements built since the 1967 Israeli occupation of the Palestinian territories of the West Bank and East al-Quds (Jerusalem). 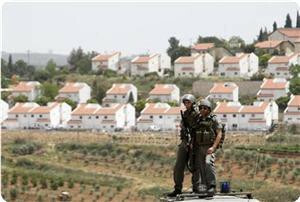 The international community regards all the Israeli settlements as illegal under international law. On June 6, Israeli Prime Minister Benjamin Netanyahu ordered for the construction of 300 units in the illegal settlement of Beit El in the West Bank. The Palestinian Authority strongly condemned the move. On June 8, Daniel Seiderman, a lawyer active in the movement against Israeli settlements, said the municipal planning board in al-Quds plan to “build another 2,500 units” in the Gilo settlement in the south of the city. The Israeli settlement expansion is not the only issue in the West Bank. In recent years, extremist Israeli settlers in the occupied territory have often assaulted Palestinians and vandalized their property under the so-called “price tag” policy. However, the Tel Aviv regime rarely detains the assailants. The Palestinian Authority Ministry of Higher Education on Thursday condemned the Israeli government's approval to upgrade an education center in a West Bank settlement to the status of university. The Israeli cabinet on Sunday approved the measure, even though the Israeli High Court is still considering a petition to block the move, Israeli newspaper The Jerusalem Post reported. "The Ministry reaffirms that all Israeli settlements in the Occupied Palestinian Territory, including East Jerusalem, constitute a grave violation of international law and that any and all facts on the ground created within these illegal settlements are considered null and void in international law," a ministry statement said. "Any dealing with this so-called university contradicts the spirit and principles of academic freedom, tolerance, and respect for international law," it continued, calling for world education bodies to boycott the settlement institution. "The Ministry considers the Israeli government's upgrade of this settler establishment to be a clear indication of its commitment to intransigence and rejection of its clear obligations as an occupying Power under international law," the statement noted. 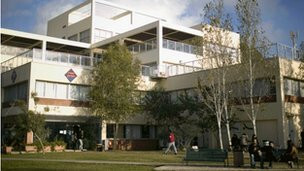 The Israeli government Sunday granted the university status to Ariel college, which is located in the illegal settlement of Ariel in the West Bank, according to Israeli media reports. This decision came following a vote by the Council for Higher Education in Judea and Samaria. 11 voted in favor of the decision; while 2 against. Israeli Prime Minister, Benjamin Netanyahu, praised this decision and said that Israel is in need of more universities in light of the increasing number of population, “Ariel Settlement will remain under Israel’s control forever,” he said. 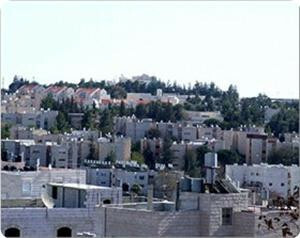 The Israeli interior ministry's District Planning and Building Committee approved a scheme to expand Gilo settlement through building 100 new settlement units in the new neighborhood. Three buildings are being constructed, in the framework of this new scheme, each of which includes 12 floors which means 100 settlement units, on an area of about 900 square meters. The Israeli District Committee has ratified the entry into force of a project to transform hotels into public open areas and a street. The project's area stretches on six dunums near Sderot Dov Joseph in Gilo settlement. Transforming the land targets from hotels to settlement units has been approved by the Ministry of Tourism, after taking into account the settlement expansion, drafted in the Zionist settlement scheme for 2020. In a special Interview with Israel’s leading paper, Haaretz, Norwegian Foreign Minister, Jonas Gahr Støre, stated that the International Community should reconsider the import of goods produced in Israeli settlements in the occupied Palestinian territories. He said that Israel’s settlements are illegal under International Law, and that his country is weighing different options to implement policies that oppose the construction and expansion of settlements. The Norwegian official made his statements just before his planned visit to Ramallah and Tel Aviv as part of the preparations for the conference of Donor Countries that will be held in New York next month. One of the subjects on the conference’s agenda is Israel’s policies in areas “C” in the occupied West Bank. 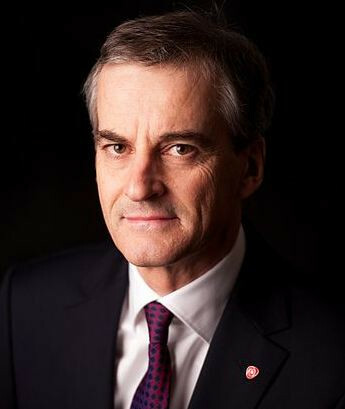 During the interview that was held in his office in Norway, the official strongly denounced the Israeli policies in the occupied territories, and added that his government is closely monitoring the Israeli violations in the West Bank, especially in Hebron, and added that West Bank’s "Area C” under the Oslo peace agreement remained under Israeli control as a transitional move, and was not meant to grant Israel the chance to build and expand its illegal settlements on the expense of the Palestinians, on %60 of the West Bank. The official further said that when his country agreed on having Israel join the Organization for Economic Co-operation and Development (OECD), it made it clear that this does not mean approving the annexation of the West Bank territory and the constructing settlements. “I know that your government claims that these areas are disputed territories”, he said, “but International Law identifies the Palestinian territories as occupied”. As for the war on Iran, he said that his country understands Israel’s deep concerns regarding the “Iranian nuclear agenda”, and approves imposing more sanctions on Tehran, but opposes military actions against the country. The Israeli occupation authority (IOA) started to build new housing units in Kiryat Arba settlement to the east of Al-Khalil. Eyewitnesses told the PIC on Monday that expansion and new housing projects were underway in the eastern area of the settlement. The IOA had recently endorsed the construction of hundreds of new settlement units in the West Bank most of them to the south of Al-Khalil. 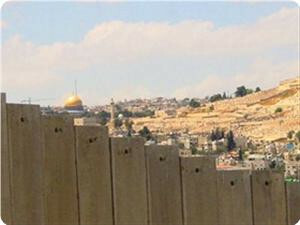 The Israeli occupation authorities (IOA) isolated Jerusalem from the northern and eastern sides with the construction of the last part of the Apartheid Wall in the area. Israeli soldiers told pedestrians at Enata military checkpoint to the north east of Jerusalem that they will not able to pass through the checkpoint for the construction of the last part of the apartheid wall in this area. With the construction of this part, the occupation authorities have isolated Jerusalem entirely in terms of both the eastern and northern sides, and separated several neighborhoods in the city, such as Shu'fat camp, the town of Enata, and neighborhoods of Ras Khamis, Ras Shihadeh, Ram, and Kafr Aqab and Semiramis. The population of this area is estimated between 70 and 100 thousand people, who are obliged to pass through Jerusalem's crossings to reach the city. At the same time, IOA has isolated Jerusalem from Bethlehem in the south, and is completing the construction of the wall from the western side. On Monday, August 27th, Turkish Ministry of Foreign Affairs strongly condemned the recent Israeli decision to tender for the construction of 130 additional units in the settlements of Har homa, East Jerusalem, calling the expansion of settlements on Palestinian territories "a grave mistake". 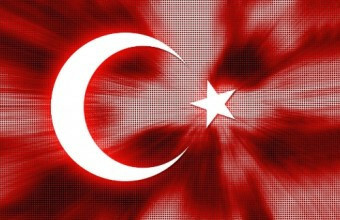 Turkey pointed out that the tender announcement was issued at a time when the international community was preoccupied with the aggravating situation in Syria. "In a period when the attention of the international community has focused on the developments in Syria, by exploiting this situation, Israel's persistent maintenance of settlement activities in contradiction with international law and despite all calls from the international community is a grave mistake that continues to be the biggest obstacle in the revitalization of the peace process and seriously endangers the vision of a two-state solution" – Turkish Ministry of Foreign Affairs said in a press release. The Israeli war ministry's workers removed on Sunday surveillance cameras located on the Ras Khamis crossing, northern Jerusalem, as a prelude to remove the crossing and build a section of the segregation wall. 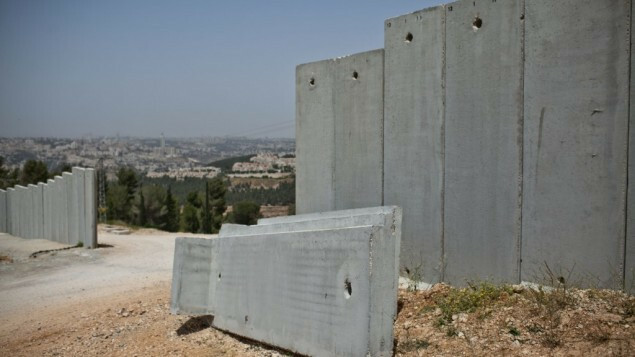 The Israeli occupation authority informed Jamil Sandouka, the chairman of the residents’ committee in Ras Hamis, that the Israeli army decided to remove Ras Khamis neighborhood crossing on Tuesday in order to complete the apartheid wall construction. This decision, which coincides with the beginning of the new school year, will oblige the students to walk a distance of about one and a half kilometers in order to reach the Shufat refugee camp crossing. "The Shufat new crossing is witnessing a bad situation, especially in the morning hours, due to the traffic and the Israeli soldiers' harassment of Palestinian girls and boys during their passage through it," he said. Jamil stressed that this decision violated the Israeli Supreme Court decision issued in 2005 that ruled against removal of the crossing until the fulfillment of certain conditions, which were not materialized. Israeli Occupation Authorities (IOA) approved a project to build a new settlement neighborhood in Jabal Abu Ghneim (Har Homa) settlement, including the construction of 68 housing units. The IOA will start building the new units in about six months and they are expected to be ready in 2014. 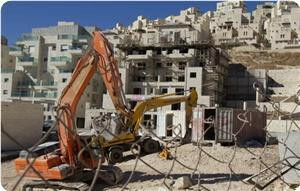 The Hebrew weekly Yorshalim newspaper reported on Friday that the Israeli "Abisror Moshe" company won the tender of the new project, noting that it had previously implemented two settlement projects in Jabal Abu Ghneim and is about to end a third one composed of 77 housing units that stretch over 6.3 dunums. The company is currently establishing a settlement project near Kibbutz Ramat Rachel dubbed "Jerusalem Park" which oversees desert landscape. The Central court for Administrative Affairs in occupied Jerusalem had rejected last week a petition submitted against the establishment of a cultural center located near the Palace of High Commissioner on Mount Scopus. The judge accepted the position of the IOA considering the obtained building permit conforms to the main plan of the city and the municipality expects the completion of the construction of the cultural center during a year and half. Landowners in the Hebron town of Yatta protested on Saturday against increasing threats to their land by Israeli settlements, a local committee said. International activists and co-existence groups also took part in the protest in Yatta, calling for an end to illegal settlement activity, a statement from the local committee against the wall said. Israeli forces arrived at the scene and broke up the protest, the committee added. 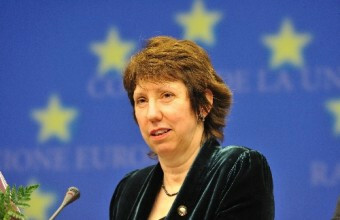 Baroness Catherine Ashton, the High Representative of the European Union for Foreign Affairs, expressed her concern on Wednesday about Israel's planned building of 130 new homes in East Jerusalem, and said that illegal settlements are threatening to make a two-state solution "impossible". 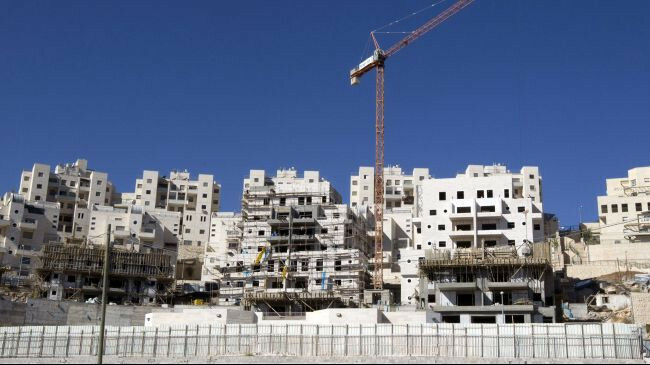 The statement released by her spokesperson said that Ashton was "seriously concerned about the implications of the recent decision by the Israeli authorities to publish a tender for 130 additional housing units in the settlement of Har Homa across the Green Line in East Jerusalem." The statement continued, "The High Representative has already expressed her profound disappointment concerning the Har Homa plan approved in August 2011. Settlements are illegal under international law and threaten to make a two-state solution impossible. "The EU has repeatedly urged the Government of Israel to immediately end all settlement activities in the West Bank, including in East Jerusalem." Ashton had previously expressed her disapproval of expansion of Har Homa a year ago. Ashton's statement follows a letter sent by Lieberman to Ashton on Monday, as well as to the Foreign Minister of Russia, the US Secretary of State and the UN Secretary General, which called for elections to replace Mahmoud Abbas as President of the Palestinian Authority. In the letter, Lieberman also claimed that Israeli settlements, which are illegal under international law, are not the main obstacle to peace between Israel and Palestine. Lieberman accused Abbas of focussing his discussions with the international community on the issue of settlements "in a calculated manner". He added, "Unfortunately the international community tends to accept this discourse, lock, stock and barrel, without criticism or a nuanced approach." Lieberman claimed that "facts and history" refuted the idea that settlements are the main obstacle to peace, calling the notion "unfounded" and stating that Israel had signed their peace treaties with Jordan and Egypt while settlements existed.